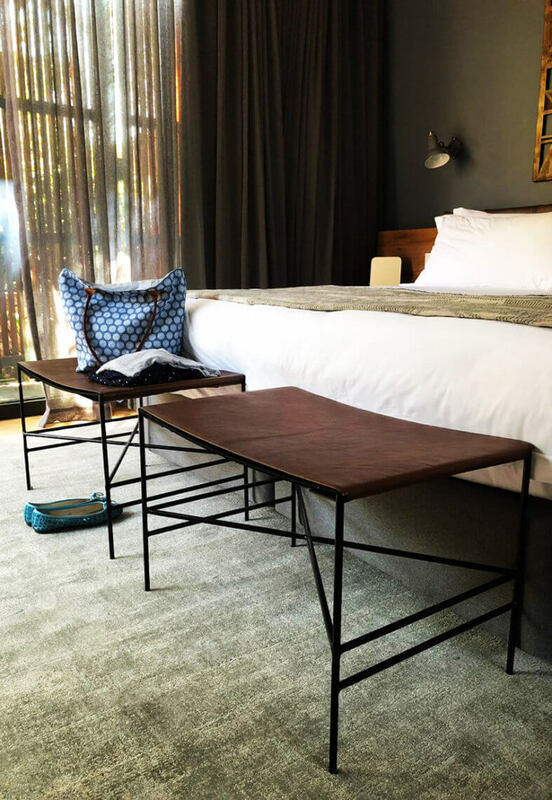 The Peech Boutique Hotel in Melrose, Johannesburg, has doubled in size, with the recent addition of 16 new luxury rooms, including a two-bedroom luxury villa, which increases its capacity to a total of 32 eco-chic rooms. A modern and bold new addition that boasts themes of “garden urbanity”, with the pavilions reflecting the steel concrete and wood of urban infrastructure, while the sculpted landscaping brings the largely indigenous vegetation into the rooms. “This boutique hotel is the ideal partner for Dark Horse – the commitment to materials, refined detailing and desire to create a modern balance with comfort and bold design is something that runs deep in our ethos”, says Dark Horse director , Jarrad Nelson. In pursuit of the refined and handmade, each room boasts custom-designed, handmade screens that are woven by the women of Bethany Home, which are a stylised representation of SA’s patterns and history. The palette is predominantly monochromatic with small bursts of SA-inspired hues and patterns. 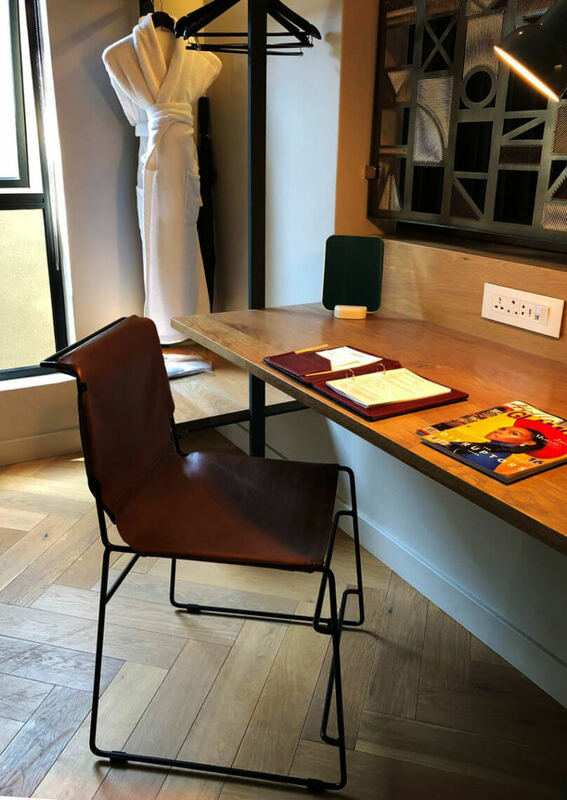 The Metropolitan desk chair is the perfect complement to the understated Afro-chic language which produces a sophisticated interior. Interior design studio Design Republic, headed by Aparna Ramani and Taryn Kallie focused on industrial materials and the juxtaposition of soft and tactile finishes amid a city full of trees, which is a celebration of Joburg and its man-made forests. 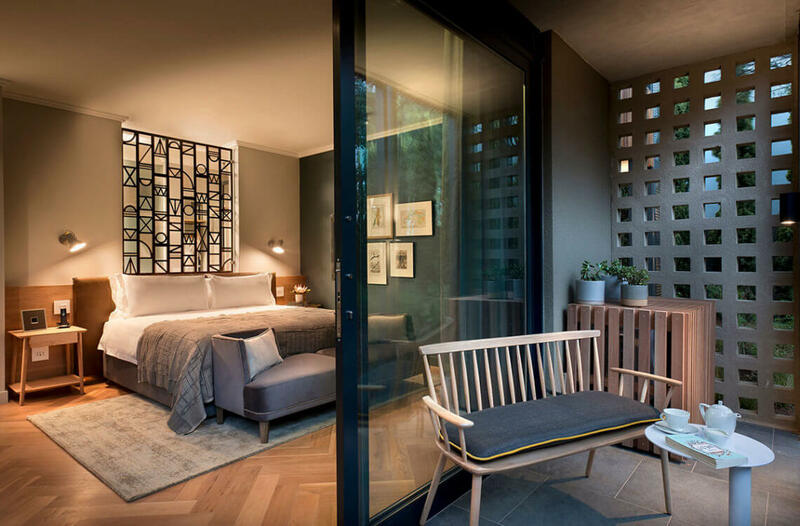 The Peech Hotel is deemed to be Johannesburg’s must visit boutique hotel – a luxury urban oasis for the chic traveller who wants to soak in a complete mixture of local design, architecture and interiors.